The future of Brampton Transit looks bright and rosy at first glance, like a freshly painted Züm bus. Ridership is spiking, routes are expanding, and BT was just named one of the best transit systems in the country. What’s not to celebrate? Yet, scratching beneath the veneer reveals a system stretched to its limits trying to accommodate a growing population, transit reserves that have been pillaged in recent years, and—with a budget that will pour long-delayed investment into the system—talk of a new transit tax to create a safety net for the future. The city’s 2019 budget, which incorporates that levy, is set to get final approval Wednesday. Brampton Transit is struggling to cope with ridership numbers that are putting extensive pressure on existing routes and buses, leading to common complaints about late arrivals and overcrowded vehicles. With Brampton’s population continuing to skyrocket, these pressures will only increase, and right now the system is at a tipping point. When a new study released earlier this month by the online real estate analysis firm Redfin found Brampton Transit to be one of the best public transit systems in Canada, the social media response was often a teary-eyed laughing-face emoji. Redfin gave Brampton Transit fifth place, behind Mississauga in fourth place, and Montreal, Vancouver, and Toronto, which took the top spot. Transit systems were ranked using a methodology that analyzed how useful a system is for residents, based on number of stops on a given route, proximity to major hubs and frequency of scheduled routes. By these measures, Brampton Transit has been steadily improving since the early 2000s, growing from 28 routes in 2001, only 11 of which offered Sunday service, to 50 routes in 2018, 32 of them running seven days a week. Including Züm rapid transit, the GO shuttle, express and school routes, BT operates 72 routes in total and catered to 31 million riders last year. However, it’s unclear whether Redfin’s ranking system took into account other aspects of the rider experience such as number of delays, overcrowding, or the general state of the system’s infrastructure. Scrolling through social media posts directed at Brampton Transit, you find a range of comments across the emotional spectrum. There are happy riders, inquisitive riders and many, many angry riders. Bus delays, bad behaviour, incorrect schedules—rarely does a segment of Brampton Transit operation get spared a ribbing on Twitter or Facebook. By the city’s own measure, reliability has been slipping. Performance metrics for Brampton Transit have a target for buses to arrive on schedule 91 percent of the time. Brampton has not met that target since 2016, and the numbers are getting worse, dropping from 92 percent on-time arrivals in 2015 to just 88 percent last year. To try to catch up with growing demand, the city plans to add 12 Züm buses to the fleet in 2019, along with 65 transit operators. However, with a $66.2-million transit operating budget and a growing list of capital demands, including a $162-million transit maintenance facility in the works, the city has been forced to look to other avenues to come up with the necessary funds. Brampton's transit budget makes up 12.3% ($47.2 million) of the city's overall capital budget. The city’s municipal transit capital reserve fund has been cleaned out, shrinking from $155,000 in 2013 to $16,000 last year. The city’s development charge reserve fund for transit, a primary source for capital project funding, has been in a sad state for years. It sat at more than $44 million in the red back in 2013, though the city has managed to shrink that deficit to around $36 million in 2018 through annual contributions. 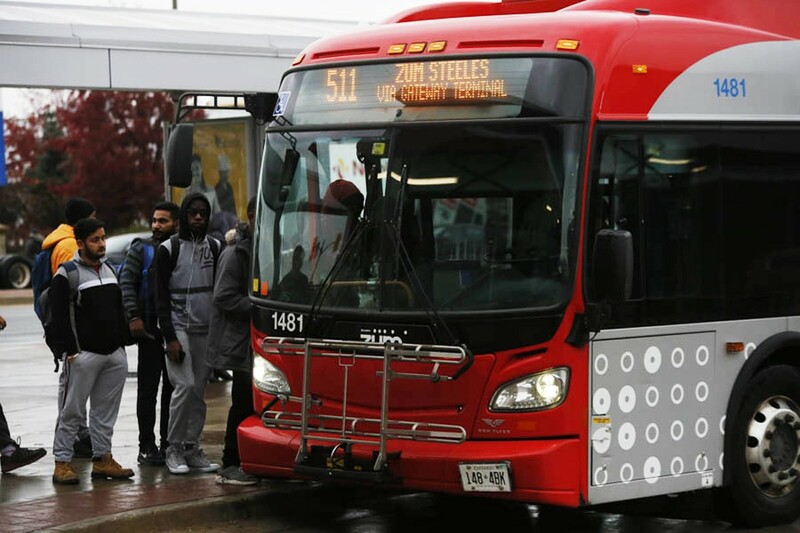 New revenue is a necessity for Brampton, with transit capital investment requirements nearly double what was initially expected when current plans were adopted in 2016, growing from an initially forecasted $25.7 million to $47.2 million. The increase is mostly driven by demand, with more buses now required, as well as upgrades to existing buses and new fare-collection equipment. A proposed dedicated transit levy—a 1 percent draw from taxpayers figured into this year’s 0.8 percent proposed tax hike—is expected to bring in $4.8 million in 2019. 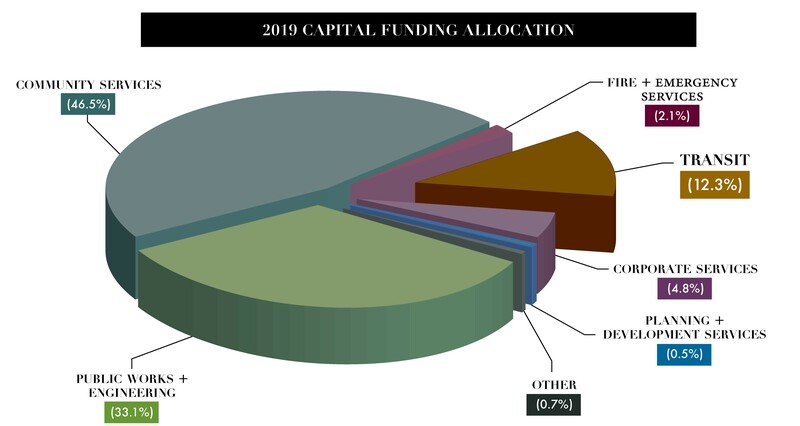 Increasing the levy by 1 percentage point each year, the city can expect to bring in $9.7 million in dedicated funding in 2020 and nearly $15 million in 2021. “The new proposed levy for transit will ensure that the cost of the new transit maintenance and storage facility of $162 million is covered and the increase in the number of vehicles over the next three years (46 conventional buses and 25 Züm buses) to cover and enhance current and new routes is met,” Councillor Jeff Bowman has said. Brampton Transit has also introduced what general manager Alex Milojevic described to council as a “very modest” fare increase. Standard cash fare increased last year from $3.75 to $4 and will remain there. The proposed budget would hike Presto fares from $3 to $3.10, with weekly passes going up by $1 and monthly passes by $4. Additionally, during budget deliberations last week, council introduced a motion to pull $110,000 from the city’s reserves to create a program making it cheaper for seniors to ride Brampton Transit. That’s a respectable initiative, but is Brampton doing enough to ensure the future sustainability of its transit system? The rate of Brampton’s transit ridership growth is nothing short of spectacular. It’s the fastest in the country, making gains seen in other Canadian and American cities seem small in comparison. Ridership has grown by a whopping 154 percent since 2009 and is showing few signs of slowing. For context, in the Greater Seattle area, the county’s transit system, Sound Transit, was celebrated last month for absorbing the highest transit ridership increase in the United States, with 2.5 percent more riders choosing transit last year than in 2017. In contrast, Brampton’s ridership grew by 14 percent in 2018 over 2017. The record increases are perhaps a little less surprising in the light of Brampton’s population growth. The city’s population grew by 13 percent between 2011 and 2016, contributing to a transit ridership growth of 41 percent over that period. Just having more people living in the city, many of them newcomers to Canada, should lead to more riders. But not all of that growth is attributable to an expanding population. 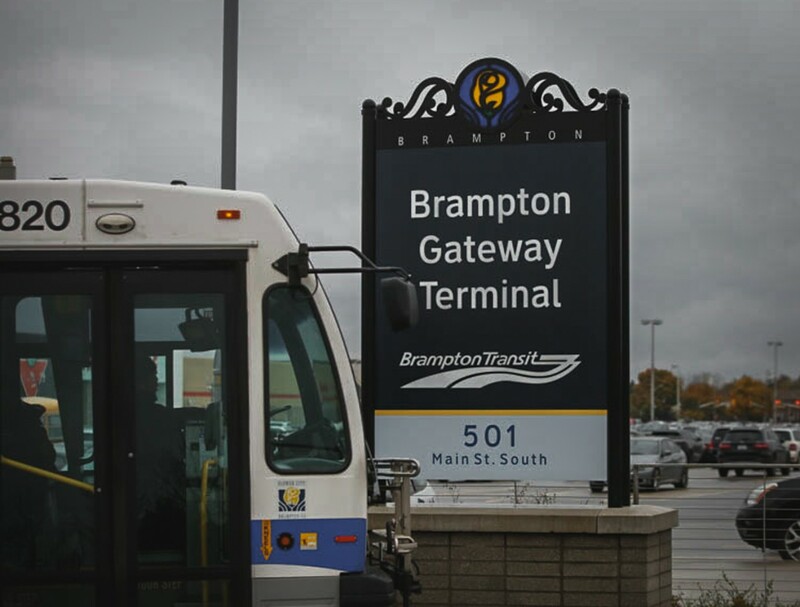 Since 2009, Brampton has been steadily increasing service, stops and route frequency. Züm service was added on Queen Street, one of the city’s busiest transit corridors, in 2010, then Main Street in 2011, Steeles Avenue in 2012 and Bovaird Drive in 2014. With more options and more frequent service, more residents have easy access to transit, pushing ridership numbers even higher. Yet, gridlock remains a worsening problem in Brampton. Based on 2015 numbers, nearly 20 percent of vehicle trips taken in Brampton were on congested roads. Continued reliance on personal vehicles raises questions about how effective Brampton Transit is in creating a viable alternative. In 2015, the last year for which data is available, only 24 percent of Brampton residents were using sustainable modes of transportation. The city’s performance pales in comparison to Seattle, the U.S. transit champ, where a 2017 study found that nearly half of the city’s 262,000 downtown workers took transit for their daily commutes. Overall, more than 75 percent of commuters were, at least some of the time, using a mode of travel other than driving. 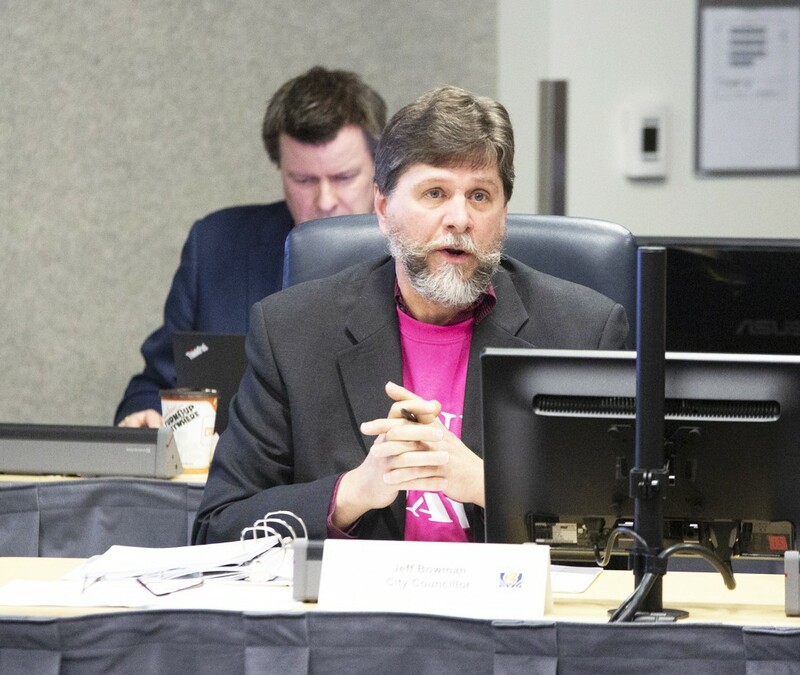 “There is certainly room to improve our active transportation networks across the city to accommodate the growing population,” said Councillor Bowman. The city’s Transportation Master Plan attempts to address those shortcomings. 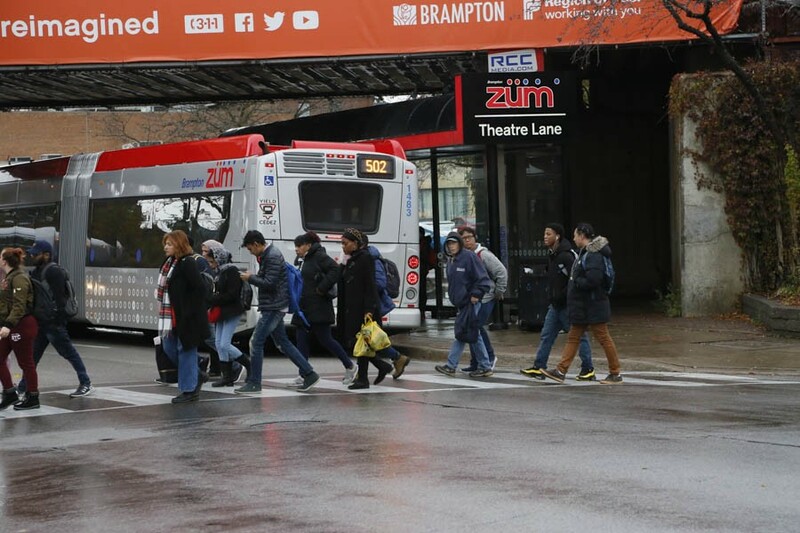 Continued dependence on cars, past failure to invest more heavily in transit and a growing population will all hinder Brampton from achieving its vision for the city of the future. Brampton 2040: Living the Mosaic paints a picture of a sustainable, environmentally sound city whose residents rely heavily on a public transit system that effectively serves the entire city with various modes, including light rail, bus rapid transit and other forms. There’s been one interesting development: Metrolinx recently announced changes to the Hurontario LRT plan due to “potential budget pressures,” which will effectively remove the long-planned city centre loop in Mississauga as well as defer a pedestrian bridge at the Cooksville stop and reduce streetscape improvements. Losing the centre loop, previously billed as a cornerstone of the plan and an opportunity to trigger a wealth of development, may not be good news for Mississauga. But the wording of the announcement does seem to leave the door open for expansion into Brampton. “There are provisions in the contract language to adapt to future changes or additions to the LRT, including the completion of Mississauga’s City Centre loop and/or a potential extension into Brampton,” the release reads. While that’s not much of a promise, Brampton councillors saw it as a bit of good news. 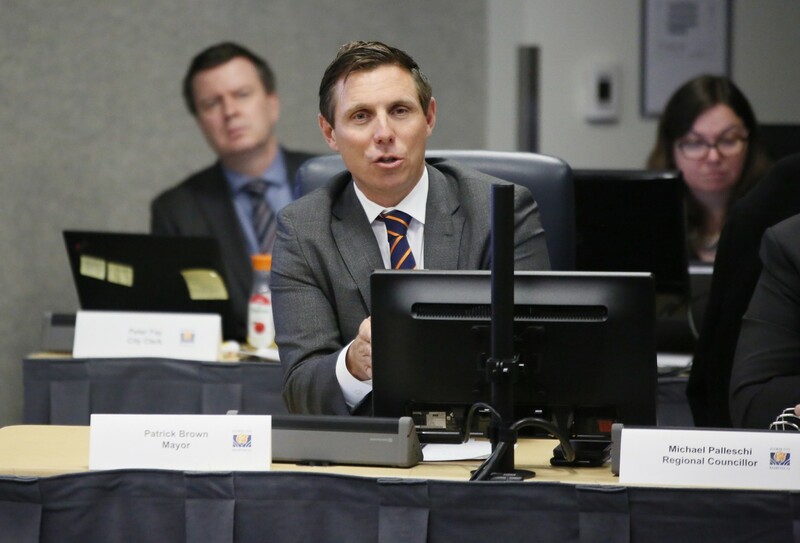 “We are especially pleased to see the provision in the contract amendment for a potential extension into Brampton as we continue to explore all the possibilities for Phase 2, including the tunnel option that would lead to downtown Brampton GO,” said a statement from the mayor’s office. As one of its first orders of business, Brampton’s newly elected council reversed an old decision on the future LRT and is now looking again at the possibility of running the LRT extension up Main Street. Brown got on board with that decision as long as the city agreed to study the feasibility of tunnelling portions of the track beneath the downtown, where the route was most controversial. Any future expansion of the LRT is still years away, and the city is at the mercy of other levels of government to supply the money needed to support transit. In March last year, as part of a federal-provincial agreement, $11.8 billion was allocated to public transit over the next 10 years. Per that agreement, Brampton’s share amounts to $191.6 million from the federal government and $158 million from the province. As part of the funding arrangement, Brampton will need to contribute $125 million of its own. This requirement underlines the need for a transit levy to serve as a “dedicated, stable source of funding for future Transit growth needs,” according to the City.